ISM PROJECT PRESENTED on Annual Meeting of Slovenian Extension Service, November 20, 2017, Laško, Slovenia – Entrepreneurship with vision! On November 20, 2017, Marija Klopčič presented of our project at big meeting of Slovenian Extension Service in Laško, Slovenia. 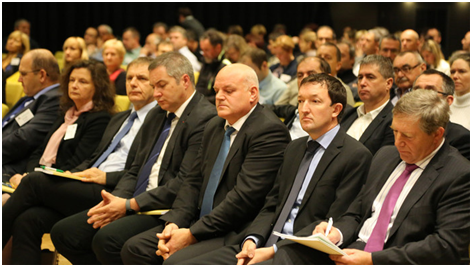 There was around 350 participants (including Minister of Agriculture). 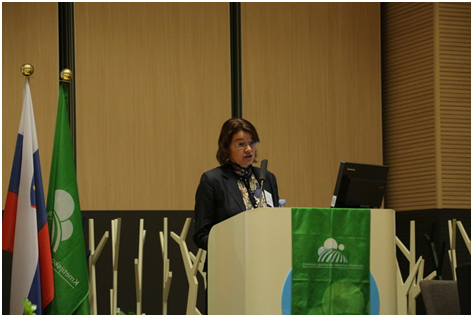 The presentation: Strategic planning for farm development – Farming with vision was prepared and presented by Dr. Marija Klopčič, Biotechnical Faculty, Department of Animal Science. She promoted our project ISM + Project “Entrepreneurship with vision – methods and tools for managerial capacity building of agricultural producers in Central and Eastern Europe”.